OpenStack doesn’t recommend using firewalld, networkManager – as it uses Iptables, which conflicts with firewalld. NetworkManager does things dynamically to the network adapters, that OpenStack may not aware of, hence may cause serious network issues. So, recommended/best practice is to you use basic network utility. Can do it permanently in file /etc/selinux/config change SELINUX=enforcing to SELINUX=disabled. As it’ll make you skip the python-cryptography conflict bug, in the future updates. By default CentOS uses DHCP to get an IP for the machine, the problem with it is on reboot the IP may change – in case of OpenStack we need to keep the IP static, otherwise it’ll break the installation. Here’s a simple step-by-step guide for setting static IP on CentOS. On CentOS, the Extras repository provides the RPM that enables the OpenStack repository. 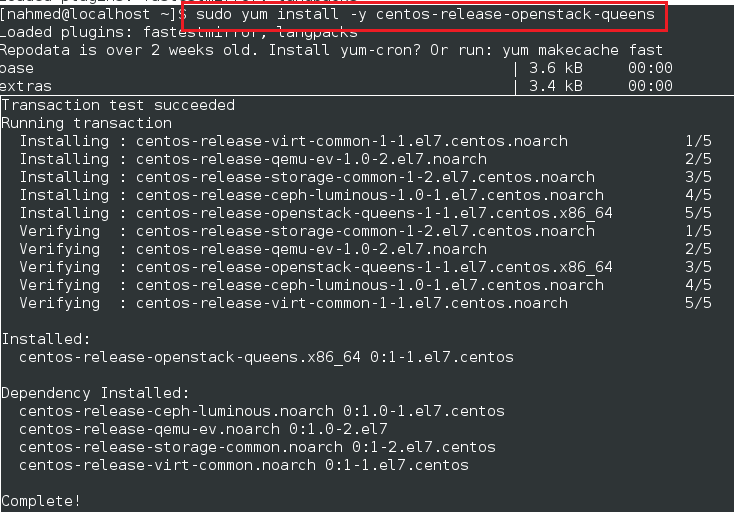 Extras is enabled by default on CentOS 7, so you can simply install the RPM to set up the OpenStack repository. The current latest release is Queens – in case you want to install some older version, here is the list of available RDO repos. Packstack is an OpenStack setup utility, it uses Puppet modules to deploy, using SSH. * Warning: NetworkManager is active on 192.168.169.130. OpenStack networking currently does not work on systems that have the Network Manager service enabled. * File /root/keystonerc_admin has been created on OpenStack client host 192.168.169.130. To use the command line tools you need to source the file. 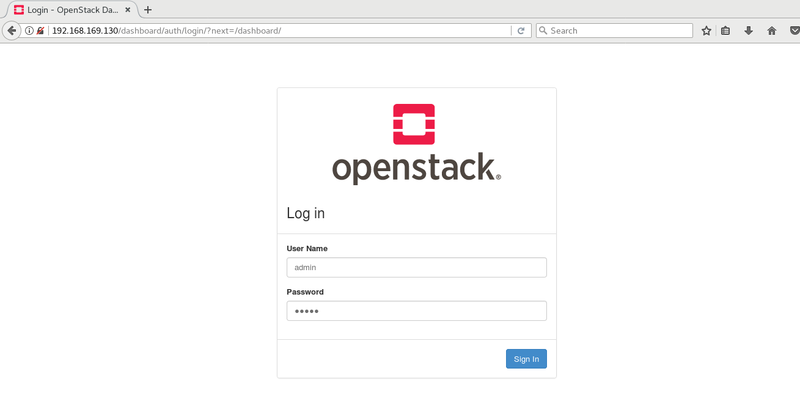 * To access the OpenStack Dashboard browse to http://192.168.169.130/dashboard . Let’s verify by logging into the dashboard (called as Horizon). The path for the dashboard gets printed at the end of stdout of the above command (packstack –allinone).